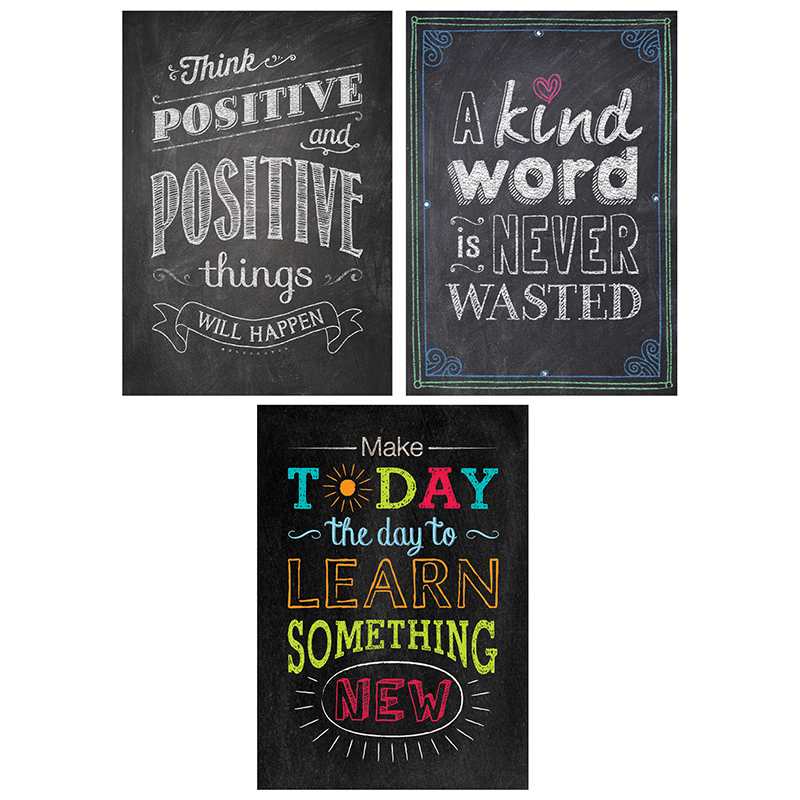 The motivational messages on these beautiful chalkboard-themed posters will inspire not only students but people of all ages. Great for display in classrooms, hallways, offices, college campuses and more! Each poster measures 13" x 19"